Wedding dress retailer David's Bridal said yesterday that it will file for bankruptcy protection in the near future as it tries to deal with a heavy debt load amid changing consumer tastes in the wedding industry. The bankruptcy filing is part of a deal the retailer has reached with its lenders that will reduce its debt by more than $400 million. 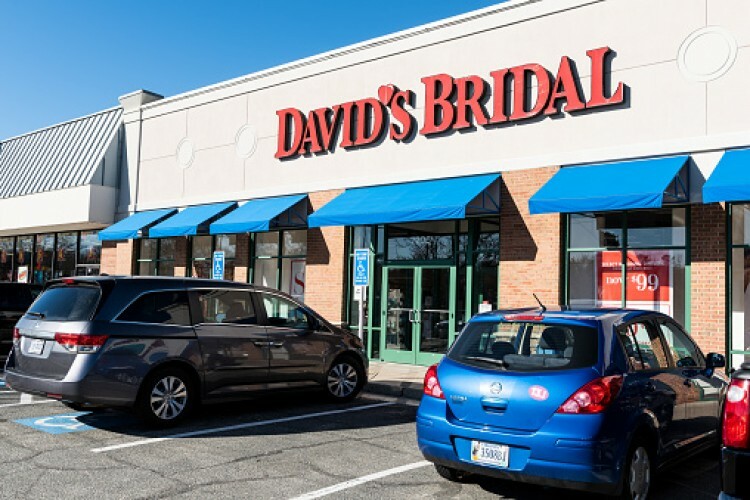 David's Bridal, which was acquired by private equity firm Clayton, Dubilier & Rice in 2012 for $1.05 billion, said in a statement the company will continue to operate throughout bankruptcy. Customers can continue to shop in its more than 300 stores, and its orders and appointments will not be impacted. "The restructuring plan is the culmination of extensive discussions with our lenders, noteholders and equity holders, and it provides an expedited path to significantly reduced debt and enhanced financial flexibility" CEO Scott Key said. "For 60 years David's has delivered for our customers on time, and the agreement announced today allows us to maintain that tradition for many years to come." Total Retail's Take: David's Bridal's bankruptcy filing isn't a surprise to wedding-retail watchers. The wedding industry has been in a state of flux, with millennials increasingly marrying later in life and oftentimes oping for non-traditional garments, as well as increased competition online from companies such as Reformation. David's bankruptcy filing comes after bridal store Alfred Angelo liquidated its business (to the horror of many brides expecting to pick up custom-fitted gowns), another victim of the changing times. Furthermore, J.Crew shut down its bridal business two years ago. Lastly, Weddington Way — acquired in 2016 by Gap —​ said it would close all its stores and shut down its website. David's Bridal has made its own online push, buying digital gift company Blueprint Registry this past summer, but has been a challenge for the traditional brick-and-mortar retailer to build the infrastructure necessary to support e-commerce while in debt.